It’s well known that the best thing you can do for your oral health is to maintain a good routine of brushing and flossing. But if you wear braces, brushing and flossing initially becomes a bit more challenging. The Yuba City Dentistry Group is here to help. Let’s discuss some of the tools and techniques that make brushing and flossing with braces easier. If you’re comfortable with a basic toothbrush, make sure to use a soft bristle or bi-level brush (with shorter bristles in the middle and longer bristles on outside edges). Many people with braces find electric toothbrushes effective, but you should make sure to use at a moderate power level and take care that the back of the toothbrush doesn’t hit your braces. 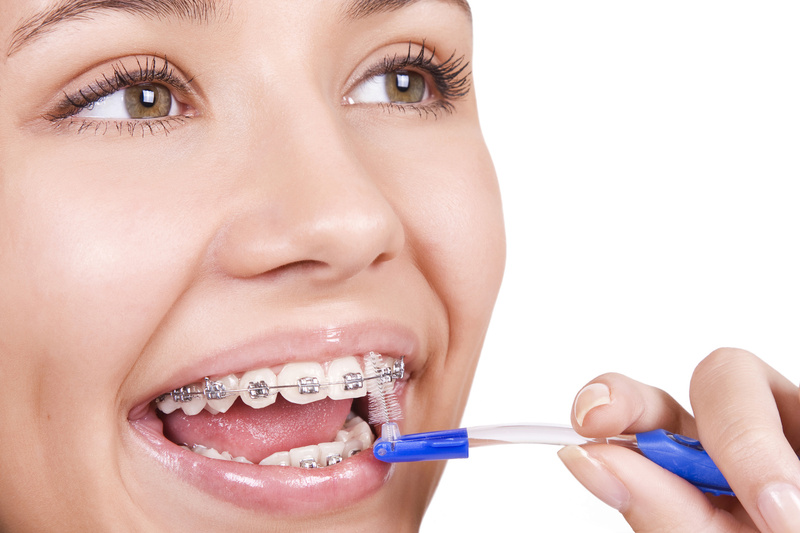 Some wearers of braces have difficulty cleaning the areas around the brackets and wires. An interdental toothbrush (proxabrush), which looks like a mini pipe-cleaner, has a small tuft of bristles that may help in this regard. Be sure to use interdental toothbrushes gently and carefully. Also known as a water pick, this device is used to shoot a stream of pressurized water to help remove small pieces of food that have become stuck between the teeth and braces. Water picks shouldn’t replace brushing and flossing, but it is an effective complement to your oral health routine. Begin brushing at the outside surfaces, placing bristles flat against your teeth. Gently “polish” the teeth using small circular motions. When brushing between braces and gums, tilt your brush toward the gum line and continue the circular motions. Next, brush upper and lower chewing surfaces using a firm, back-and-forth motion. Finally, brush the inside surfaces of your teeth using the same technique as you did for the outside surfaces. The entire process should last around two minutes. Make sure to use a fluoride toothpaste, and brush at least twice a day (ideally following meals). You need to floss at least once a day to maintain healthy teeth and gums, and that doesn’t change when you have braces. So how can you get the floss under your braces’ archwire? That’s where a floss threader comes in handy. A threader works with floss like a needle does with thread. Pull one end of floss through the “eye” of the threader and then push both threader and floss under the archwire. Now, grab each end of the floss and slide it up and down the edges of both teeth, as well as under the gums. Use a new piece of floss for the next area and repeat the process. 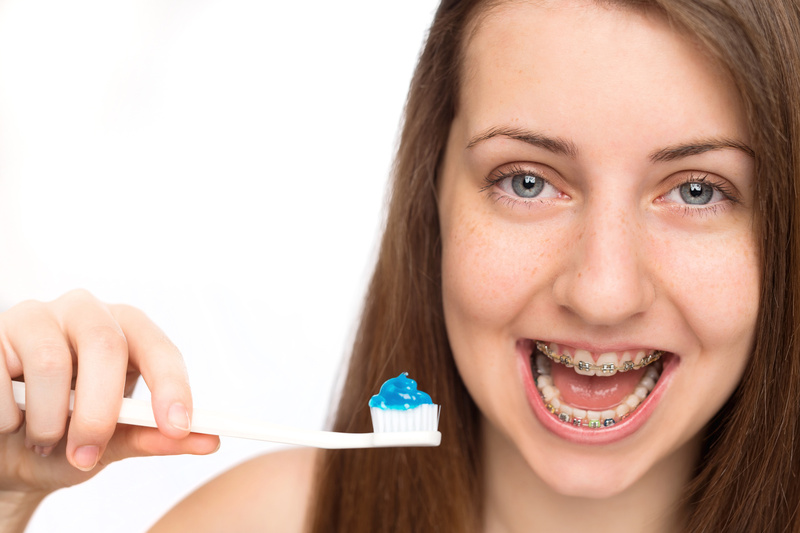 Like any new activity, brushing and flossing with braces takes some time to get used to. But following a good routine will keep your teeth and gums strong and healthy, as well as contribute to a beautiful smile.